I guess I'm your new best friend. For many dog owners, love is spelled L-A-B. Your new black Labrador retriever puppy had you at first woof. It's up to you to ensure your best friend receives the right care and training during puppyhood. Remember, the puppy is the father of the dog, or words to that effect. 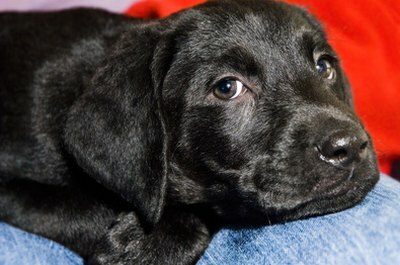 You'll probably bring your black lab pup home when he's between 8 and 12 weeks old. At first, he may be a little scared leaving his mom and littermates but should adjust quickly. If he didn't receive initial puppy vaccinations while still at his breeder, take him to your vet as soon as possible for a checkup and primary shots. These include distemper, parvovirus, parainfluenza and adenovirus. He'll start losing his baby teeth around 6 months. Provide him with plenty of proper chew toys during this period so he doesn't chew and destroy things he shouldn't. Labs shed a fair amount, so you may also want to invest in a good brush, vacuum cleaner or a predominately black wardrobe. 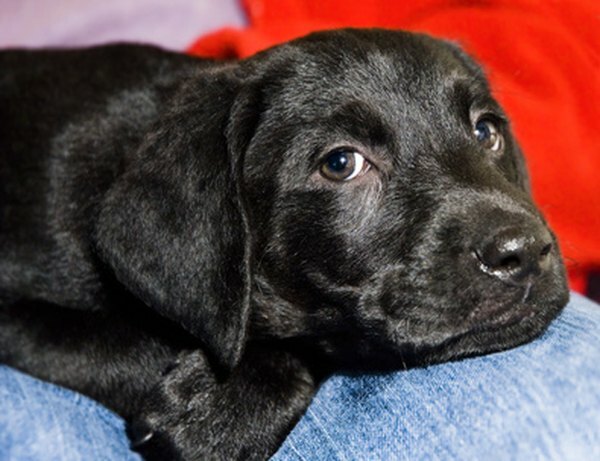 Your lab puppy should be smart and social. It's in his genes. He's also very active, and you need to train him and give him direction and guidance. Young labs can be "hyper," and need an outlet for all that energy. Remember that labs don't reach mental maturity until about age 3, so until then you can have a puppy's mind in a large dog's body. Give your dog lots of exercise and safe opportunities to run, and challenge his mind, too, with games, puzzles and training. Your lab puppy wants to please you. Take him to obedience classes so he can learn how to be the dog you want him to be. Your puppy seems to grow like a weed, and that's probably normal. However, be aware of the difference between normal growth and too rapid growth. If your pup grows too fast, he might end up with joint problems at an early age, especially in the hips. Don't overfeed him, no matter how hungry he appears. Ask your vet about the best food and feeding schedule for your lovable pup. While small amounts of treats are OK, that's what they are -- treats, not items that make up a substantial part of his diet. When you take him on regular puppy checkups to the vet, she can advise you if his growth is in the acceptable range. By the time your pup is a year old, he's reached his full size. That little ball of black hair you brought home 9 or 10 months ago turns into a dog weighing between 55 and 70 pounds and standing between 21.5 and 24.5 inches at the shoulder, according to American Kennel Club standards. If you've spayed or neutered your dog before the age of 1 year, the dog may grow somewhat taller. Look forward to another 12 to 14 years with your pal. How Can I Tell How Old a Black Lab Puppy Is?